**Update** LP Steak is now closed. A new restaurant is scheduled to open in its place in October, 2016. 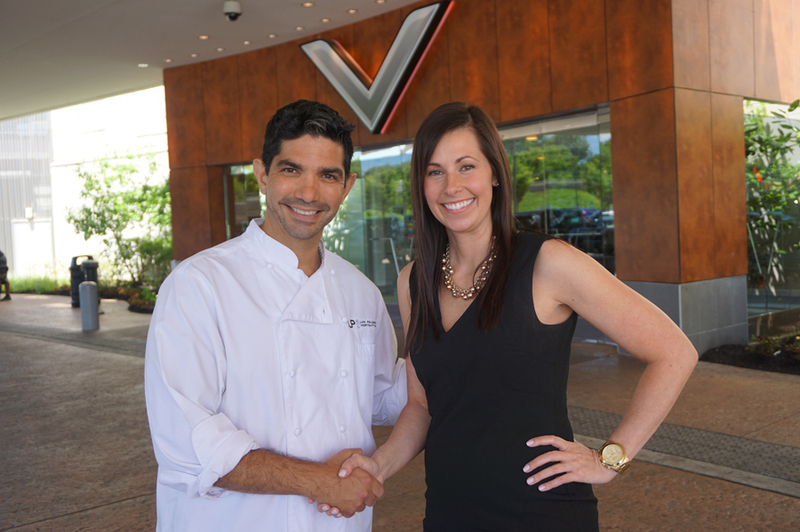 Chef Luke Palladino is ready to carve his niche in the local culinary scene. His implement of choice is a steak knife. Palladino - already an established restaurateur in Atlantic City and Philadelphia - is prepping his newest location: LP Steak & Seafood. This 180-seat dining room will open at the Valley Forge Casino Resort in early October. Initially, it will replace Pacific Prime, but eventually, Palladino&apos;s menu will transform the neighboring Viviano&apos;s as well. "I&apos;m very excited to be out here," he says. "I started speaking with Valley Forge found it to be a natural, bridging our brand across the area." Palladino cites his migration: Business at his Shore location drove the decision to expand into Philadelphia, eager to serve wintertime customers who had fallen in love with his culinary skill during their summer vacations. Taking the concept one step further, Valley Forge enables service to fans from the Main Line. "If we come up here, people don&apos;t need to commute to either the City or the Shore," he says. "There&apos;s a high-density population here, and we decided to make it easier for our clientele to dine with us. 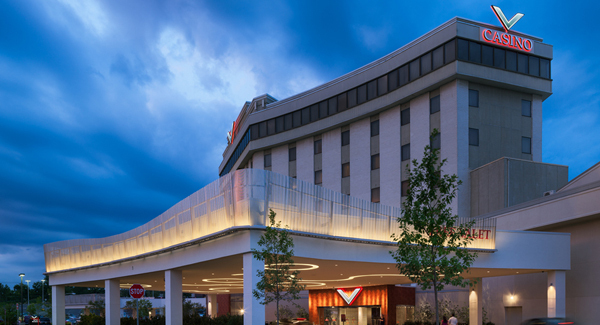 "Working with the Valley Forge Casino Resort has proven to be a fit. We like what they&apos;ve done with the property. They&apos;re innovative thinkers and are the kind of people we want to do business with." Palladino started cooking at age 13 while living in Cocoa Beach, Fla. "When I was a kid," he remembers, "Nike shoes were coming out, and I wanted a pair. And I wanted a surfboard. But my mom was a single mom, and she said, ‘Look, to get those things, you&apos;re going to have to go to work.&apos; So, I went to work." He started in a local restaurant, washing pots. Soon, he had earned enough for the sneakers and surfboard - and a skateboard to boot. But more than that, he started to enjoy the food service industry. "I was good at washing pots, and I was a hard worker, but I knew that just washing pots wasn&apos;t for me. So I started peeling onions back when onions came and they weren&apos;t peeled. And washing bushels of spinach back when spinach came in a bushel when half the bushel was mud and dirt. From there, I got into the process of cooking and prepping, and it was great. Eventually I went to the Culinary Institute of America in Hyde Park." With a heritage that included plenty of Italian food at home, choosing a specialty was not difficult. His on-the-job training included three stints of living in Italy over a five-year period. "I backpacked with my knives and learned a lot," he says. His Italian menus produced noteworthy results, but "...I had other interests as a chef. I always wanted to do a steakhouse. I love steak, and I love fish." Finally, he set down roots with a series of casino-based steakhouses in Atlantic City. That success became a stepping stone into King of Prussia. Right now, his attention is focused on renovating the dining room. "All the finishings will change," he states. "The carpet changes, all the paint, the light fixtures, the artwork. You&apos;ll recognize the layout, but it will be transformed. It will not look or feel like the same restaurant." Palladino is after a specific look and feel. "It&apos;s a steakhouse. It&apos;s our brand. My goal always in a restaurant is to make sure it has some energy and conviviality to it. It has to feel warm. I like it to be contemporary, yet, at the same time somewhat timeless. For me, I like earth tones. But I also like these jolts of color: reds and oranges and yellows, small bits to add pop. "I like different areas to feel different in a restaurant. I don&apos;t want every area that you sit in to look and feel the same. Because for me, to differentiate adds texture and variety. And a sense of adventure. So when you come in, you sit here this one time. And when you I come again, you check it out over here. Or sit back here. People will want to look beyond where they were before and discover something new." 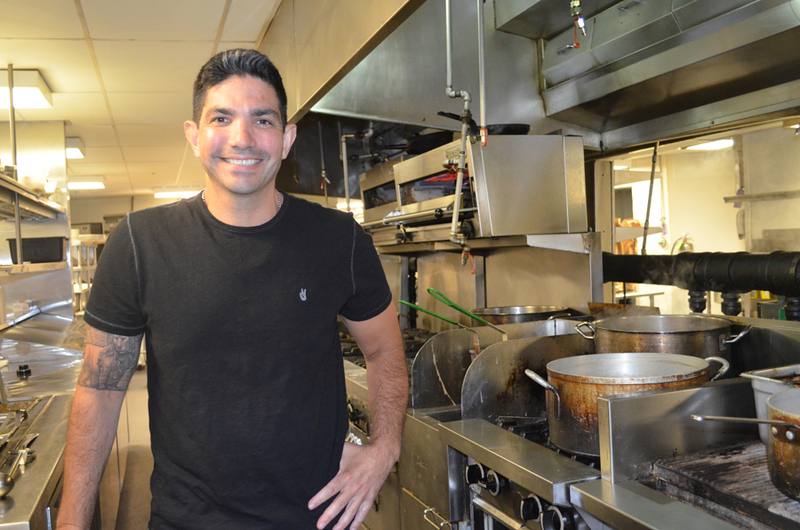 Wearing two hats - as both chef and manager - will keep Palladino busy, but he wouldn&apos;t have it any other way. "It&apos;s a lot of work; a lot of heavy lifting. I&apos;m a chef by trade and spend a lot of time in the kitchen. But I&apos;m also an operator. "The key is to hire capable people that understand what we do and bring them up and train them in the ways of the restaurant. "I can&apos;t do it all. Even though I would like to." His culinary outlook may have evolved from his original Italian roots, but one trait from his childhood remains: discipline. "I came from an Italian family where we had these big Sunday dinners. I had a lot of freedom as a kid, as I was the only boy. My mother had only one rule. On Sundays, at 4 o&apos;clock, you were home for dinner. Regardless. I got away with a lot back then because despite everything else, if I was home on Sundays at four, all was forgiven," Palladino laughs. 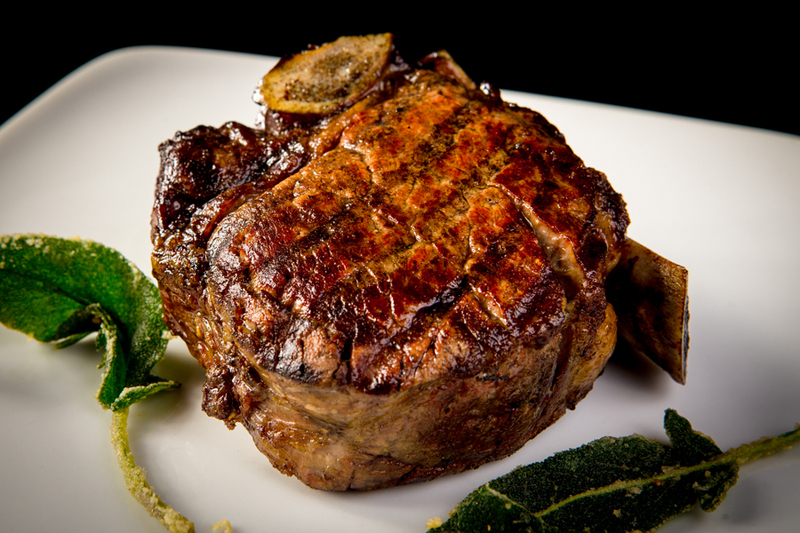 LP Steaks & Seafood joins the very active and eclectic nightlife scene in Valley Forge and Montgomery County, Pa. After a night out with a succulent Filet Mignon capped by a decadent dessert, the perfect coda is an overnight in one of our fine hotels. For recommendations that range from the plushness of the Casino Resort to the hominess of an inn or B&B, see our website.